Your refrigerator broke down all of a sudden and refuses to start even after all your attempts? Worry no more! Max Appliance Houston is one of the leading service providers when it comes to the maintenance or repair of your refrigerators. We have a team of expert professionals who have been in the industry for a long time and have repaired all makes and models of refrigerators. Irrespective of the brand, type and make, our technicians guarantee full-fledged servicing and repairing of your refrigerators within the said time. Whether you have built-in refrigerators, French door refrigerators, top/bottom refrigerators or any other type of refrigerators, our technicians would inspect the appliance and come up with a quick solution to the problem. There can be a number of problems related to your refrigerators like not cooling, water dispenser or ice maker or ice dispenser not working, improper defrosting, clogged defrost drain, freezing of food, water leakage or ice maker overflow etc. Our technicians are professionally trained to take care of all such problems and come up with an apt solution in no time. 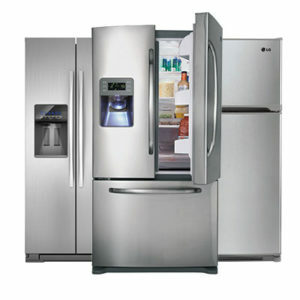 Moreover, our services claim the lowest price in the industry for repair and servicing of any type of refrigerators. We also provide an estimated cost of installing a new refrigerator or creating a built-in one for the remodeling of the kitchen. You can also consult our experts about the decision to replace the refrigerator or repair the same one. So, anytime you need refrigerator repair services, consult the highly trained professionals at Max Appliance Houston only. For quick and cost effective Refrigerator Not Cooling Repair in Houston Tx/ Refrigerator Technician in Houston Tx/ Refrigerator Water Dispenser Problems Repair in Houston/ Fridge Repair in Houston/ Refrigerator Repair in Houston Tx, get in touch with us.